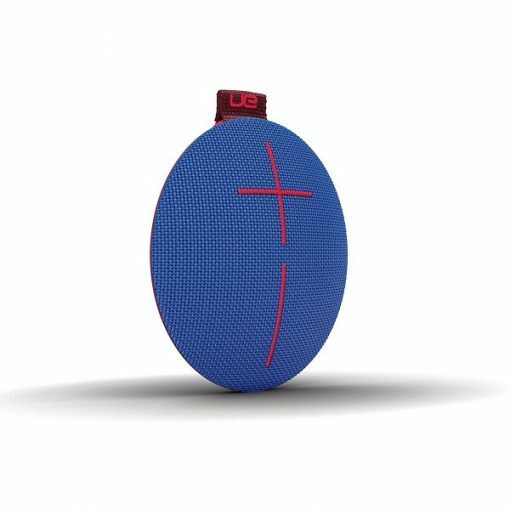 UE Roll is the powerful, pint-sized speaker that brings the noise to hidden beaches, cliff jumps and mountain climbs. Its big, beautiful, unapologetically awesome sound thats small enough to take anywhere. *Waterproof for up to 30 minutes and a depth of 1 meter. **Actual wireless range and battery life will vary with use, settings and environmental conditions. 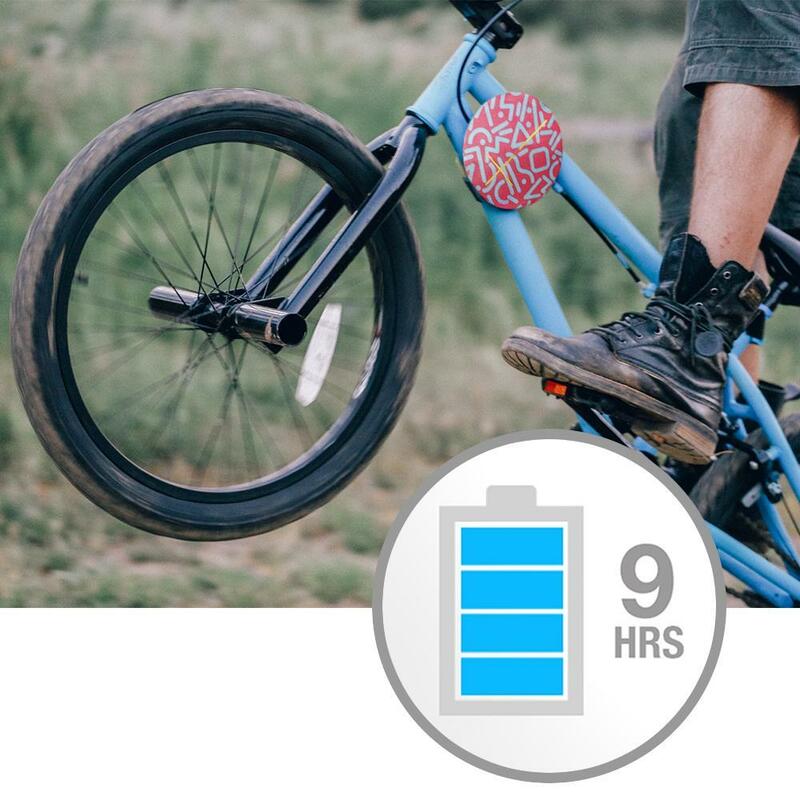 Rechargeable batteries have a limited number of charge cycles. UE Roll is the powerful, pint-sized speaker that brings the noise to hidden beaches, cliff jumps and mountain climbs. 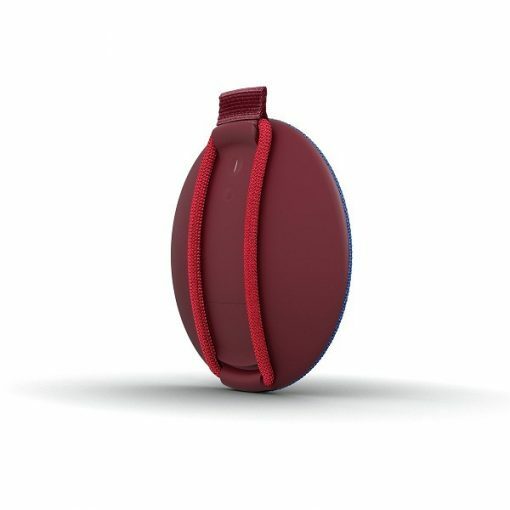 It’s big, beautiful, unapologetically awesome sound that’s small enough to take anywhere. 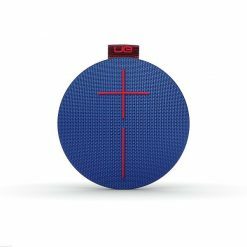 UE Roll pumps outs insane sound, in every direction, wherever you go – loud, crisp sound that shouts through the air with deep bass that blasts out incredible beats. Water? Check. Rocks? Check. UE Roll is crafted from the most unintimidated premium materials known to man. And it’s waterproof*. So drop it, dunk it, toss it and take it your music where it shouldn’t go. 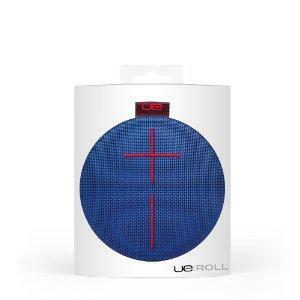 UE Roll is small and lightweight enough to take anywhere, leaving you more room for other stuff. 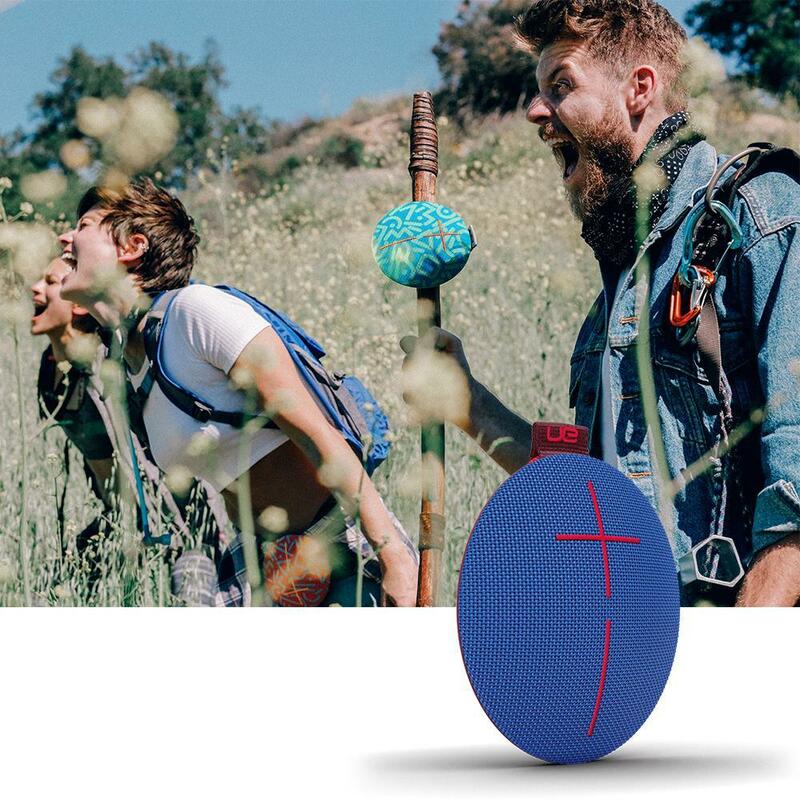 With its 9-hour battery life and 65 feet wireless range**, it’ll party as hard and long as you can. 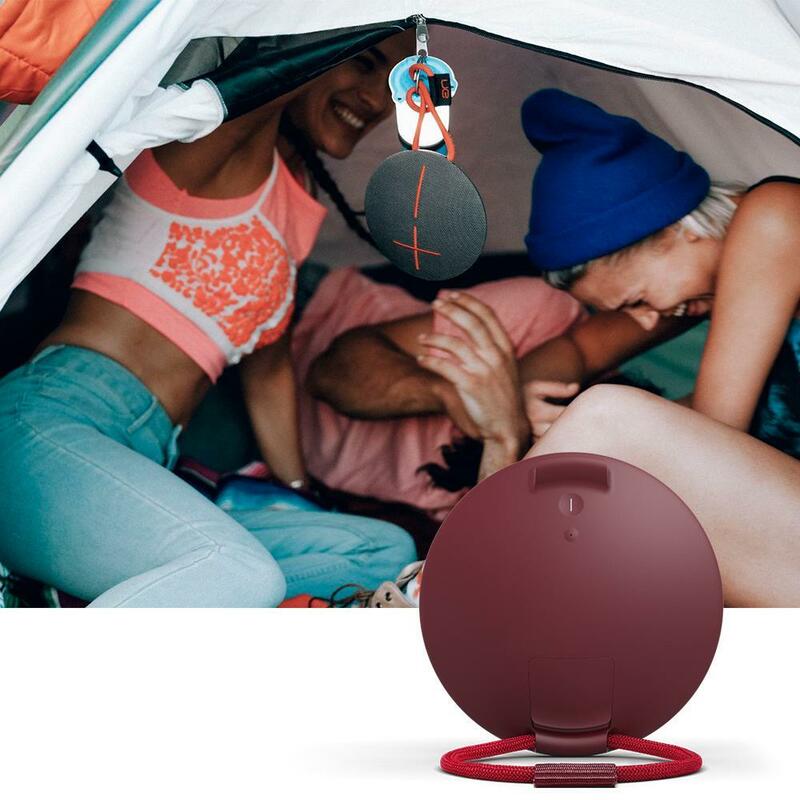 It comes equipped with an attachable marine-grade bungee cord so you can bring your tunes along for even your most dare-devilish adventures. 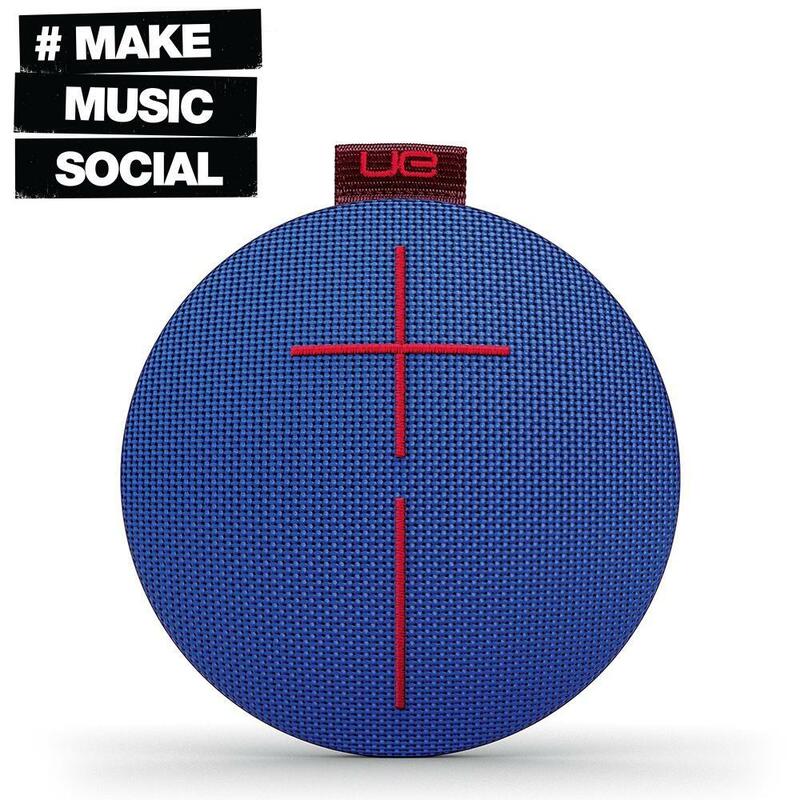 Use the UE Roll app to control the party from afar and to unlock an expanding set of cool additional features like our musical alarm, fully customizable 5-band EQ and Double Up – wirelessly play (stream) to any two UE speakers from one bluetooth device at the same time. Amazing sound. Life-resistant shell. Ready to go where no wireless speaker has gone before. Check out why UE Roll rocks. 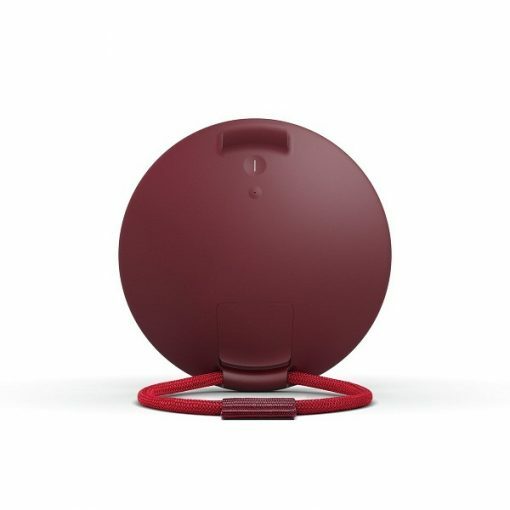 Wireless capabilities: Pair up to 8 Bluetooth enabled source devices. Wirelessly play (stream) to any two UE speakers from one source at the same time. Mobile range of play is up to 20m or (65 feet). Audio: Maximum Sound Level: 84dBA. Frequency Range: 115Hz – 20kHz. Drivers: One 2-inch Driver with Two ¾ Tweeters. Compatibility for Audio Playback: Smartphones, tablets and other devices that support Bluetooth and Bluetooth Smart wireless audio profile [Advanced Audio Distribution Profile (A2DP)] or 3.5 millimeter audio output. 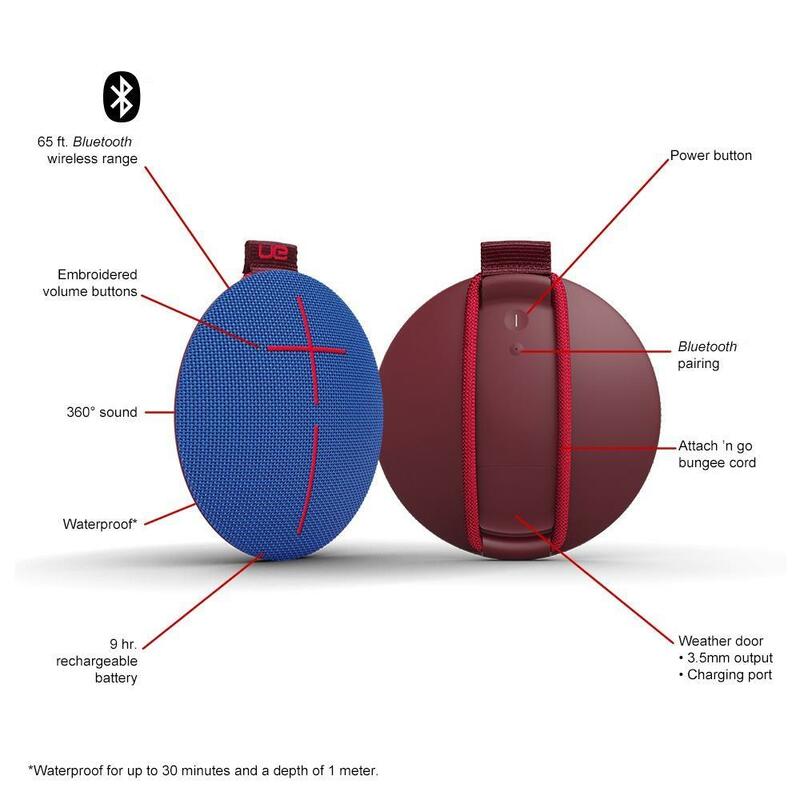 Waterproof—IPX7 Rated: UE Roll can be immersed in water up to 1m for up to 30 minutes. 65 ft. 100 ft. 100 ft.